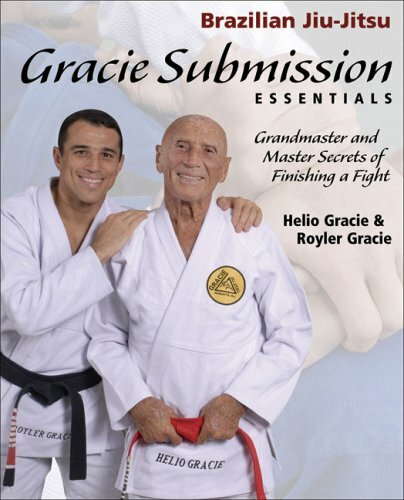 Showcasing their favorite and most effective finishing moves, world-renowned jiu-jitsu experts Helio Gracie and son Royler Gracie share the submission techniques that have helped them win fights for more than three decades. Sections of the book break down each submission procedure, presenting important details on how to put devastating combinations together in order to make practitioners more polished competitors. Personal advice on physical and mental training, combined with a deeper understanding of a match's end game, enables readers to elevate their performance and emerge victorious. Helio Gracie is the founder of "Gracie Jiu-Jitsu"—also known as Brazilian Jiu-Jitsu—and the author of Gracie Jiu-Jitsu. He was named Black Belt magazine's Man of the Year in 1997. Royler Gracie has competed in the black-belt ranks for 20 years, winning four world titles and the Abu Dhabi World Submission Championship for two consecutive years. He is the coauthor of Brazilian Jiu-Jitsu: Theory and Practice and Brazilian Jiu-Jitsu Submission Grappling Techniques. Kid Peligro holds a black belt in Brazilian jiu-jitsu and is the winner of two World Masters titles. He is a columnist for both Gracie and Grappling magazines and the coauthor of Brazilian Jiu-Jitsu, Brazilian Jiu-Jitsu Self-Defense Techniques, Submission Grappling Techniques, and Superfit. He lives in San Diego.